A prospective accountant in Maryland can choose between around 30 colleges and universities offering accounting degrees at various levels. However, only very few of these provide Master’s or advanced accounting degrees. Maryland institutions are not among the top in the country, with the exception of US News top universities John Hopkins University (rated as 12th best nationwide) and University of Maryland – College Park (rated as 41st business school in the country). However, there are quality accredited programs offered by Maryland accounting schools that can equip students with the necessary skills to progress in an accounting career. An accountant needs strong business skills, an affinity for math, a good eye for detail and an analytic mind. In order to master these skills, a good education is a must. The program you choose now can influence your whole career, so it is worth informing yourself thoroughly before enrolling in an accounting school. If you want to become a successful accountant and especially if your goal is to become a Certified Public Accountant (CPA), you should choose an AACSBS-accredited program with a rigorous curriculum that will allow you to earn the necessary amount of credits. 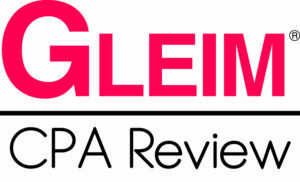 Look for a blend of solid theoretical knowledge and hands-on experience and ask to see student evaluations and the most recent CPA exam pass rates of program graduates. 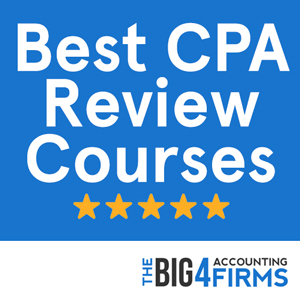 Don’t forget that the courses should be much more than CPA exam preparation classes and that the more challenging the program you take, the more confident you will be in your profession. A good accounting program should also enhance your employability. Evaluate the extracurricular opportunities available on-campus, as well as the presence of big accounting firms at the school’s careers fair and the rate of graduate employment. You should look for ways to get involved in the business community before you graduate, as experience will be a major asset in your career – and your accounting school should open you the gates. If you have decided that you want to become an accountant, it is important to consider early on whether or not you intend to achieve the CPA certification. While you can work as an accountant with a four-year Bachelor’s degree, the CPA license can open many doors for you in the corporate and governmental sectors. However, requirements to become a CPA are much higher. In order to qualify for the CPA exam, you will need to complete additional coursework in order to earn 150 semester credits. You will then be faced with the infamously difficult CPA exam and you will have to pass all four sections before you can apply for your license. Additional requirements are one year of experience in accounting and passing an ethics exam. As a licensed CPA, you will have to renew your license regularly and you might need to earn continuing professional education credits throughout your career. You may also choose to join one of the CPA societies that can help you get the most out of this challenging and rewarding field. Before you can take the CPA exam in Maryland, you will need to earn 120 semester credits amounting to a Baccalaureate or a higher degree from an AACBS-accredited institution. These must include 27 hours in accounting courses and 3 hours in ethics. There is no residency or age requirement in Maryland. However, in order to be eligible for a CPA license, you will be required to undertake additional coursework so as to complete 150 credits, as well as to acquire one year of accounting experience. Once a licensed CPA, you will need to report 80 hours of continuing professional education courses in order to renew your license. Thanks to its proximity to Washington D.C. and its highly developed metropolitan area, Maryland is the 4th top US state in terms of accounting pay levels. The annual wage for Maryland accountants in 2013 was $78,300, much higher than the national average of approximately $65,000. The state also reports a high accounting employment level and a broad range of employment opportunities in the field. Salaries in the field have been steadily rising over the past years and the average national starting salary for accounting graduates has increased by 7% in 2013. Maryland accountants are thus excellently situated for professional success. 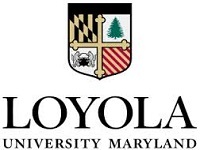 Rated 5th in the top of Regional Northern universities by US News, the Baltimore-based Loyola University offers an AACBS-accredited accounting program. Students who wish to fulfill the 150 credit requirement can pursue a four-year Bachelor’s degree in Accounting and a one-year Master of Accounting degree. The program is taught by highly qualified instructors and is highly career oriented. With higher than average graduate starting salaries and great opportunities for networking and participation in student organization, the Loyola University also benefits from an excellent location in Baltimore, a booming business environment. Without standing out in national rankings, the program has the potential to open the gates to success for its accounting graduates. The University of Maryland – College Park boasts the largest accounting school in the state, with a highly rated accounting program offered by the Robert H. Smith School of Business. A Wall Street Journal 2010 survey of recruiters ranked the school as 7th in the country in terms of accounting hires. The Accounting and Information Assurance department at Smith schools offers quality, AACBS-accredited programs at the undergraduate, Master’s and doctoral level. Graduate students may choose between a Master of Business Administration degree with an accounting concentration and the flagship accounting program of the school – the Master of Science in Business: Accounting. The MBA curriculum integrates core accounting courses with a broad range of classes in economics, finances, and information systems. Elective courses allow students to qualify to take the CPA examination upon graduating from the MBA program. On the other hand, the MSB provides an innovative study option targeting accounting professionals who wish to maximize their employability. Students can follow track options in tax, public accounting, general accounting and auditing. Networking opportunities and excellent career services enhance the attraction of the Smith School, while its location in the D.C. metroplex places students in the center of a thriving business community. While the CPA exam pass rate at this school has been average in the past years, the program’s strongest point is the ability to create business professionals with marketable skills and capable of becoming agents of change.